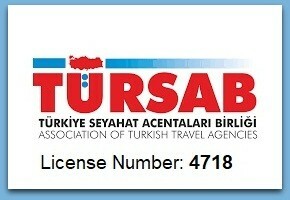 It may take some time for the people visiting Istanbul for the first time to grasp the size of Istanbul. Especially foreign visitors are amazed by the number of places to visit in this huge city. In this mega city that has a population over 15 million, the life continues 7/24. While some parts of the city become quite silent at night, the entertainment lasts till morning in other parts of Istanbul. 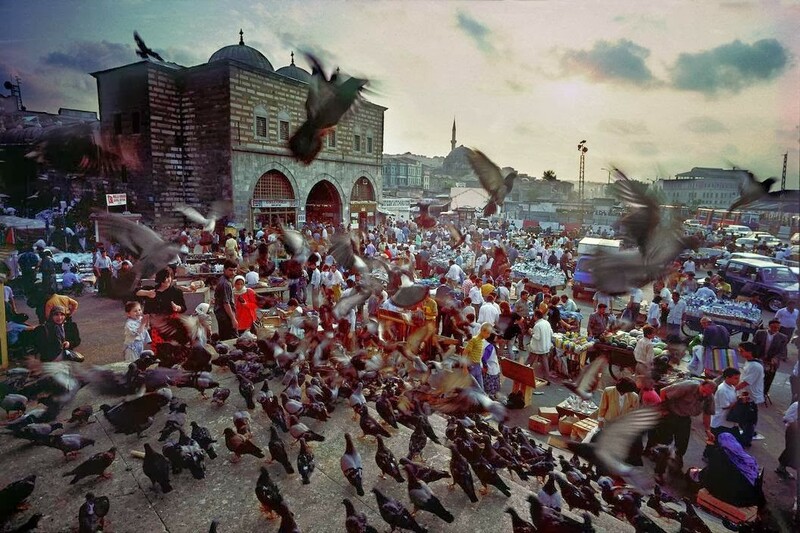 In order to feel the vibe of Istanbul thoroughly, the visitors should spend time at Beyoglu, Besiktas or Kadikoy. This is due to the fact that Sultanahmet area, where the historical sites are plenty, falls into silence, except for Ramadan days, after 23:00. All domestic and foreign tourists visiting Istanbul, begin their trip at Sultanahmet and it’s easily justified considering historical sites such as Hagia Sophia, Blue Mosque, and Topkapi Palace are in this area. Naturally, Sultanahmet is the most important area of the Old City that served as the capital of the Roman, Byzantine and Ottoman Empires. Sultanahmet, with its invaluable historical sites, offers amazing opportunities to its visitors who would like to take photos in Istanbul. It’s a habit ending up at Grand Bazaar and shopping at the end of the day after visiting Sultanahmet. 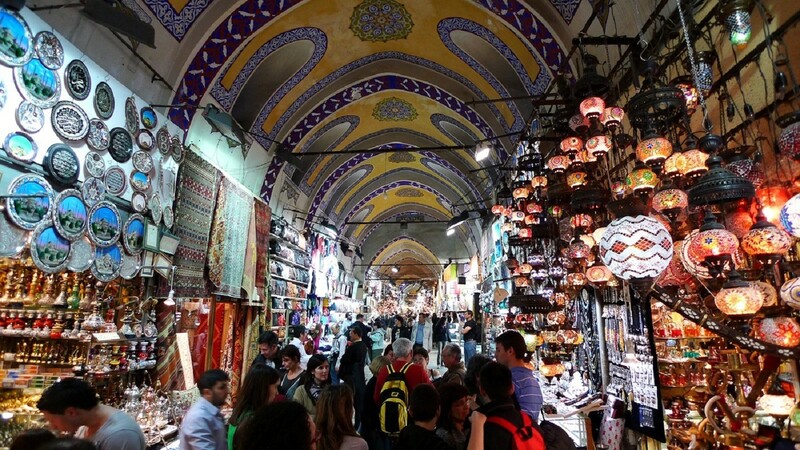 Grand Bazaar, built in 1461, charms people and attracts visitors like a magnet. Even people who get tired while waiting in long queues to enter the museums at Sultanahmet can’t help but end their day at Grand Bazaar. Grand Bazaar is a huge site with its 67 streets and more than 300 shops and it’s the last standing representative of the traditional shopping style today. It’s a habit of the locals to come to Eminonu Square and visit the shops around Spice Bazaar on weekends. The front yard of the New Mosque, the symbol of Old City, is the point to feed the pigeons like the ones at St. Marco’s Cathedral. Even though Spice Bazaar is the star of the neighborhood, many different kinds of things can be found on the streets that surround the historical center. The cheapest of everything, be it textile items, bakery items, ornaments or toys can be found in this neighborhood. Although the New Mosque stands out as a historical structure thanks to its huge size and location, there are secret gems on the back streets. For example, Rustem Pasa Mosque which is decorated with the most beautiful examples of Iznik tiles should definitely be visited before leaving this neighborhood. Karakoy used to be seen as a distant place on the other side of the Old City during the Byzantine era. As Galata Bridge that connects the two sides didn’t exist back then, the Byzantines called Beyoglu as “Pera” which means “the other side”. An interesting piece of information for the readers is that one side of the chain to prevent the enemy ships from entering inside the Golden Horn was tied to Karakoy Port. The Byzantine Empire collected high amount of taxes from the business in the Eastern Mediterranean region. The skilled Genoese and Venetian sailors took an important place though. The valuable silk and spices sent to Constantinople from Asia were transported to Europe by these two Italian colonies. The Ottomans didn’t want to ruin the established system and granted these Italian colonies some privileges. The center of this ages-old trade was Karakoy and Galata neighborhoods. It’s still possible to see the traces of the old port city’s trace on the back streets of Karakoy. 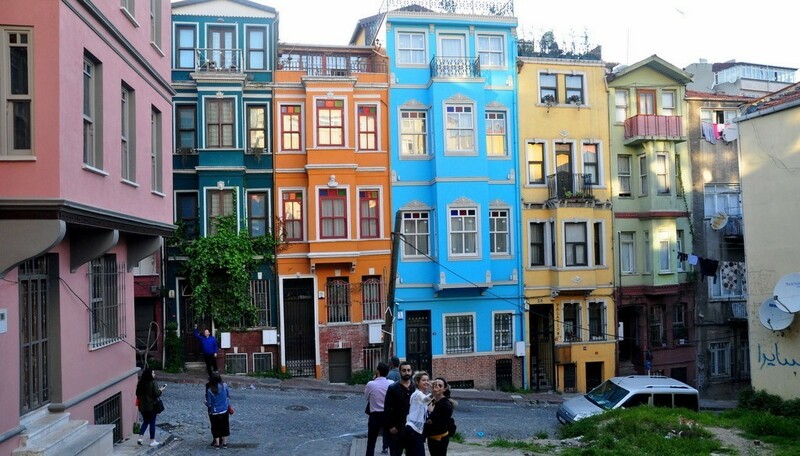 Fener and Balat are becoming more and more popular among tourists. These two neighborhoods can be visited with a few hours of walk easily since they are next to each other. Fener and Balat reflect the life in the Ottoman era very clearly and, therefore, they play an important role in the history of Istanbul. Fener and Balat neighborhoods are the best neighborhoods that reflect the cosmopolite way of life in Istanbul thanks to the mosques, churches, and synagogues that are lined on neighboring streets. These neighborhoods used to be where the non-Muslims lived heavily and they still preserve the rich cultural heritage of these communities today. Therefore, I highly suggest you visit these neighborhoods with a private tour guide. To find your way around there, you may check Fener Balat Walking Tour post. Both European and Asian sides of the Bosphorus are so active on weekends. The highly popular breakfast culture of Turkey is adopted in Istanbul too and it’s reflected in every corner of Istanbul. Even though there are amazing breakfast places like Galata, Cihangir, Sultanahmet or Kadikoy, having breakfast in the middle of the Bosphorus can’t be replaced. Ortakoy, Bebek and Rumeli Hisari (Rumeli Fortress) are the best places to have breakfast on the European side. On the Asian side, Beylerbeyi, Cengelkoy and Anadolu Hisari compete with the other side with its neat and well-preserved neighborhoods. More information can be found on Best Breakfast Places in Istanbul post. Since 2000 when the tourism began to improve, tens of hotels have been opened and many historical Turkish baths have been restored. 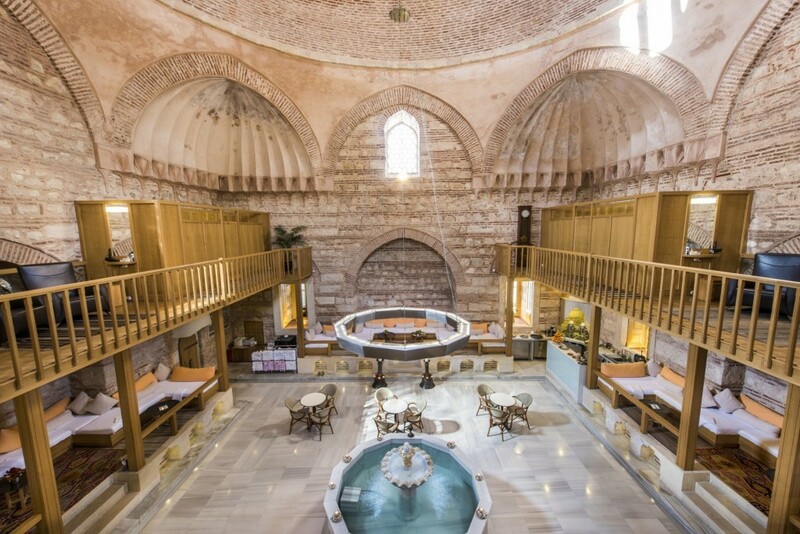 The most beautiful Turkish bath that has been restored recently is The Haseki Hurrem Sultan Hamam that neighbors Hagia Sophia. This striking and interesting bath was built by Mimar Sinan in the 16th century. Apart from the Haseki Hurrem Sultan Hamam, there are some other great historical baths in Istanbul; such as Cemberlitas, Cagaloglu, Kilic Ali Pasa and Galatasaray Hamam. You may also review the Best Turkish Bath in Istanbul post. 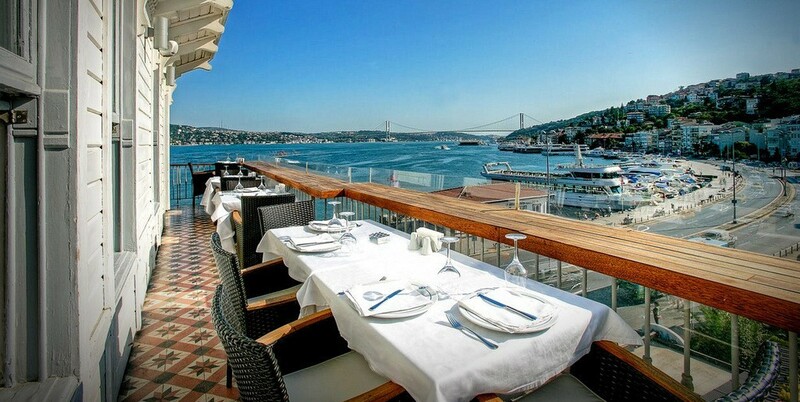 We have mentioned having breakfast in the Bosphorus above. One of the best things to do in Istanbul on weekends is having breakfast in Ortakoy and walking to Bebek or Rumeli Fortress. Arnavutkoy, which is between Ortakoy and Bebek is the best spot where you can jog or run by the Bosphorus. You can feel the breeze and fresh air from the sea, watch the bridges and mansions and watch the people fishing. 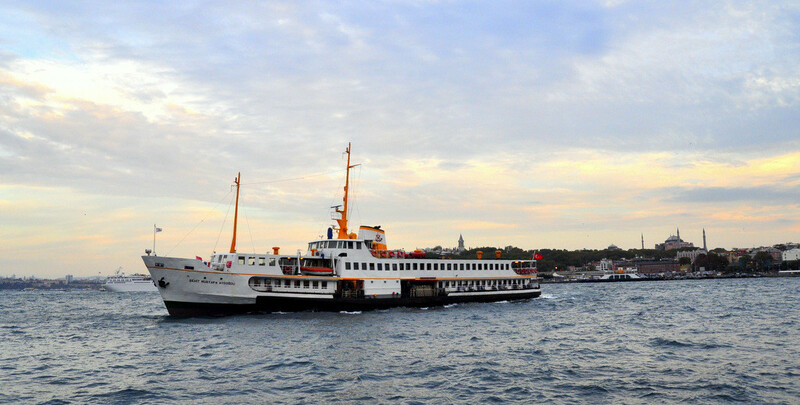 One of the tourists’ most favorite activity in Istanbul is taking a boat tour in Istanbul. You have two options to choose from if you wish to take a Bosphorus cruise tour. You can either take part in a cruise on a Turyol boat for 1,5 hours OR you can take the Sehir Hatlari Ferry and reach Black Sea coast and spend your whole day taking a boat tour. 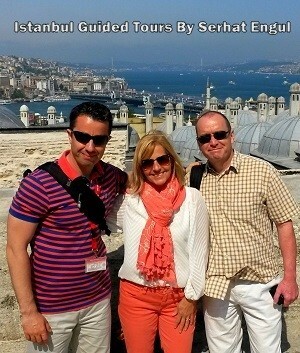 The boat tour options are explained in Best Bosphorus Cruise post. We previously suggested visiting Sultanahmet, Eminonu and Fener-Balat Neighborhoods. Now, let’s dig deeper and talk about Eyup neighborhood. 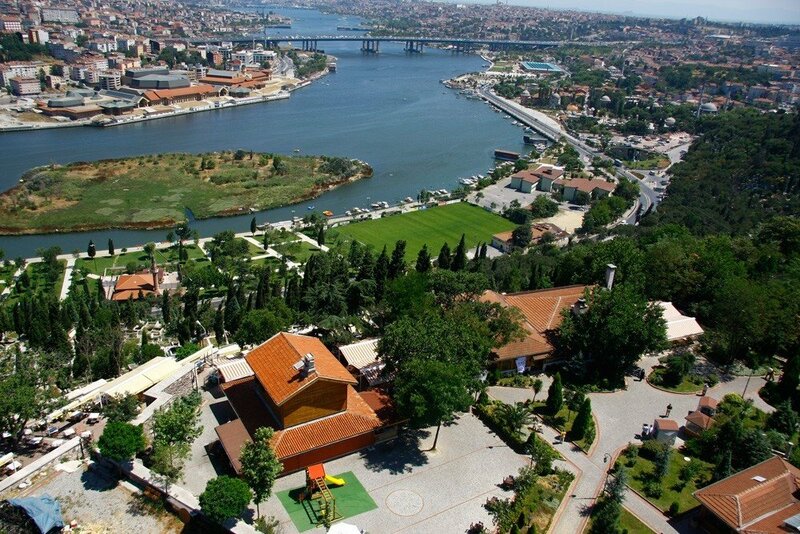 Pierre Loti Hill, which is on the top of Eyup, is one of the best places to take photos in Istanbul. 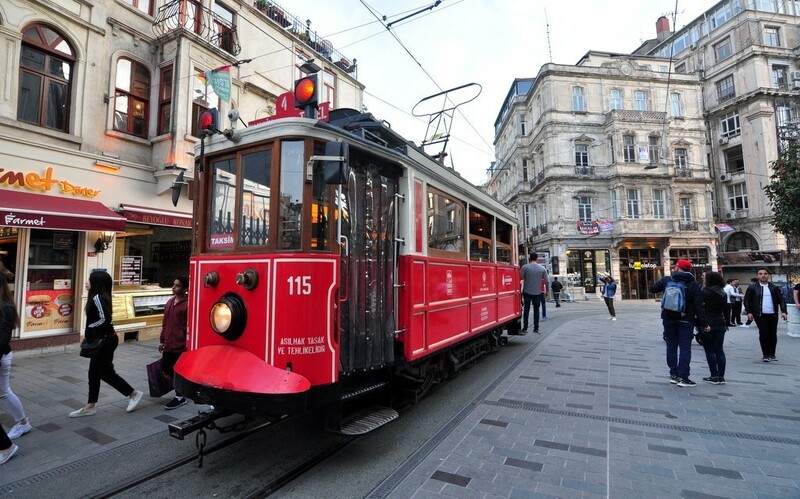 Climbing up the hill via the cable car is one of the most fun activities in Istanbul. Eyup Mosque, which is regarded as the holiest mosque in Istanbul, is in this neighborhood too. 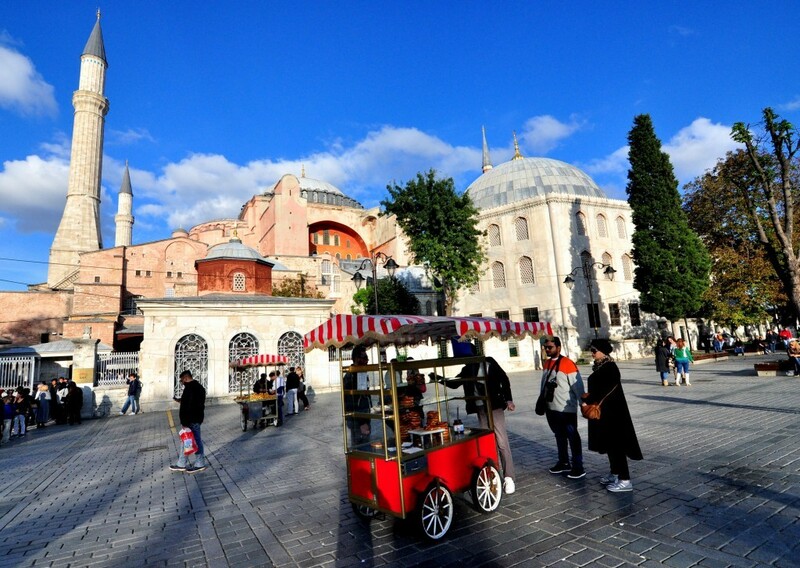 After visiting the mosque, a short bus or taxi ride will take you to Miniaturk, if you wish to visit it. 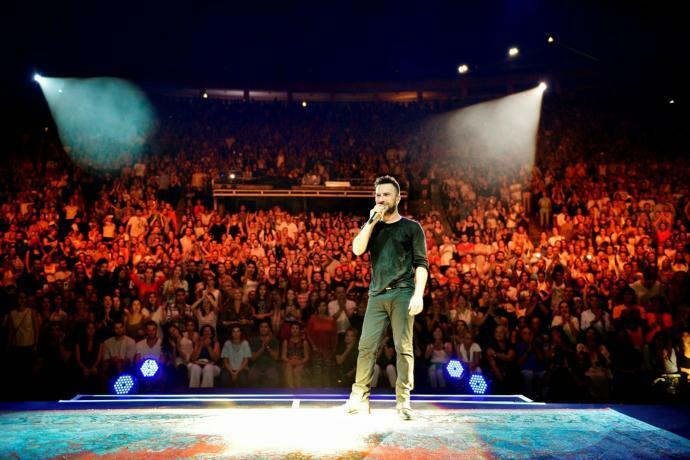 Harbiye Open Air Theater, where the most famous Turkish artists perform, is in the heart of the city. It’s such a joy to listen to Turkish pop stars like Sertab Erener or Tarkan on a warm summer night and going to Istiklal Avenue after the concert. Top Things to do in Istanbul for fun! Climbing up Galata Tower and viewing Istanbul in 360 degrees is still one of the main items in our list The Best Things to do in Istanbul. 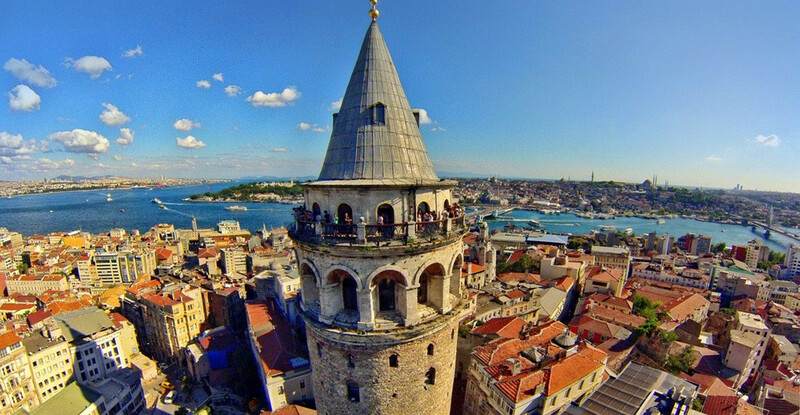 Galata Tower enables its visitors to view the seven hills of the Old City, Beyoglu neighborhood, and the Bosphorus. If you climb up the tower when the sunshine is not too bright, you can take amazing photos. Moreover, the Galata’s square known as Kuledibi has become more active thanks to the recently opened cafes. It’s one of the most enjoyable activities to spend time around Galata Tower and explore the back streets in Istanbul. Istiklal Avenue is a place where people of every age meet and spend time together. 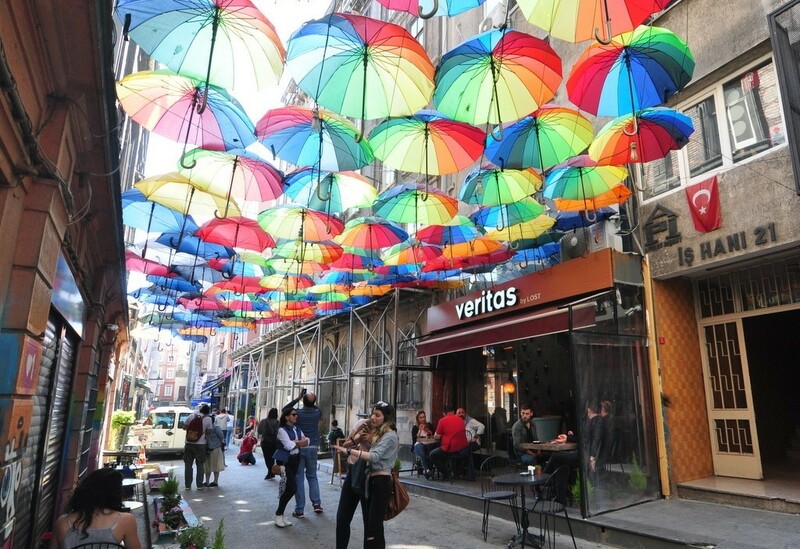 In spite of the recent controversial environmental planning in the area, Istiklal Avenue is still an important center for tourists. While you discover Istiklal Avenue, you need to digress from the main road and enter the passages. It’s possible to come across invaluable historical structures on uninteresting corners that don’t look attractive at first. We should also note that this avenue used to be called Cadde-i Kebir by the Turks and Grand Rue de Pera by the foreigners during the Ottoman Empire. In the last century of the Ottoman Empire (19th century) this area became lively, which still displays the examples of the cosmopolite life of the period. The best examples of this cosmopolite life can be seen by the front side of the buildings on Istiklal Avenue. If you look at them carefully, you will see that various architecture styles were mixed in building these structures and surprisingly they create a unique harmony. Cukurcuma is one of the unique neighborhoods in Beyoglu. 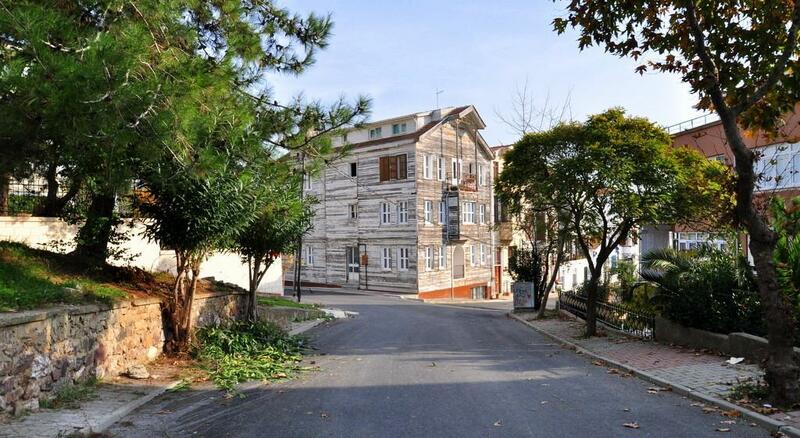 This neighborhood also houses Masumiyet Museum on which world famous novelist Orhan Pamuk’s novel is based. Cukurcuma is famous for its antique shops. 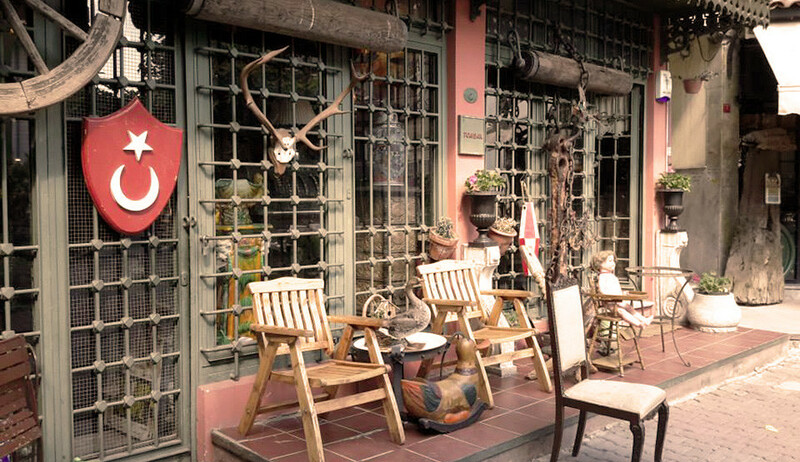 It’s great fun to visit the antique shops that are lined on Cukurcuma Street and do shopping. And if you are into photography, you will definitely take great shots in this neighborhood. Cukurcuma and the neighboring Cihangir are two of the best places to take a walk in Istanbul. 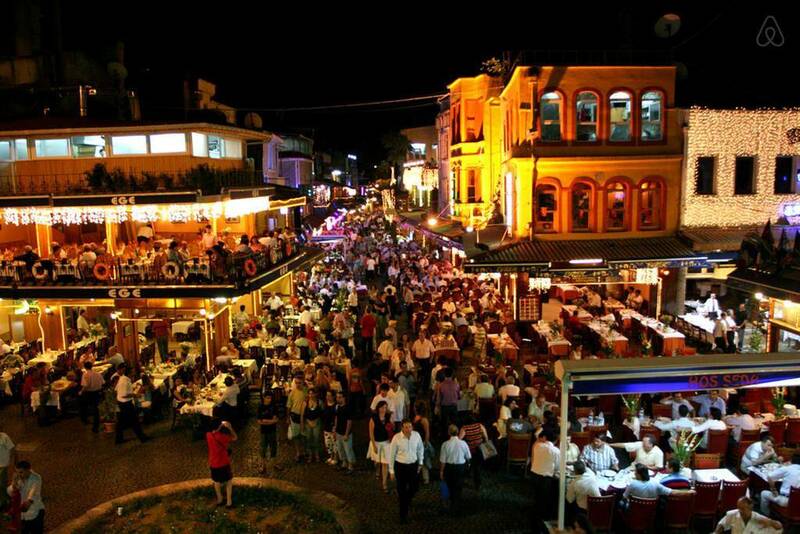 Moreover, you can end your day on Cezayir Street to get rest by entertaining yourself. 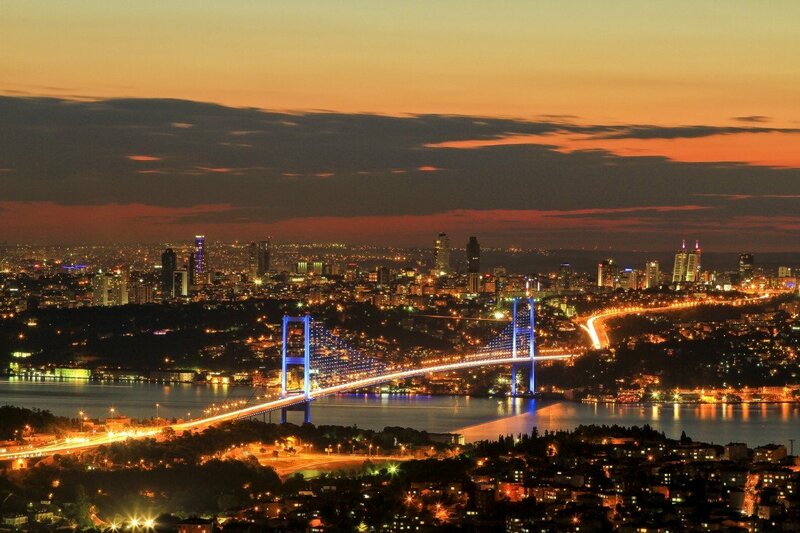 The days the Romans arrived at Istanbul dates back to 195 A.D. during the reign of Septimus Severus. After 330 A.D. Emperor Constantine built Istanbul as the second capital of the Roman Empire. After the Roman Empire was divided into two, Constantinople remained as the capital the Eastern Roman Empire until 1453. There are important historical structures in the city that was built in Roman architecture for more than 1000 years. 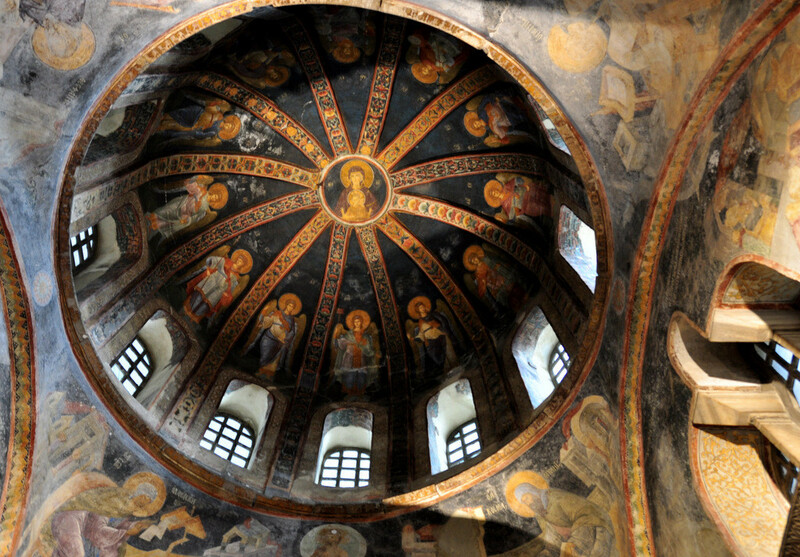 Even though most of the Byzantine era structures were demolished during the Sack of Constantinople (By Latins) in 1204, it’s still possible to visit the structures like Chora Church and Monastery of the Pantocrator today. You can follow the trace of the Byzantine Empire in neighborhoods like Sultanahmet, Fener-Balat, and Vefa-Zeyrek and take some great photos. You may also check Byzantine Monuments in Istanbul blog post. 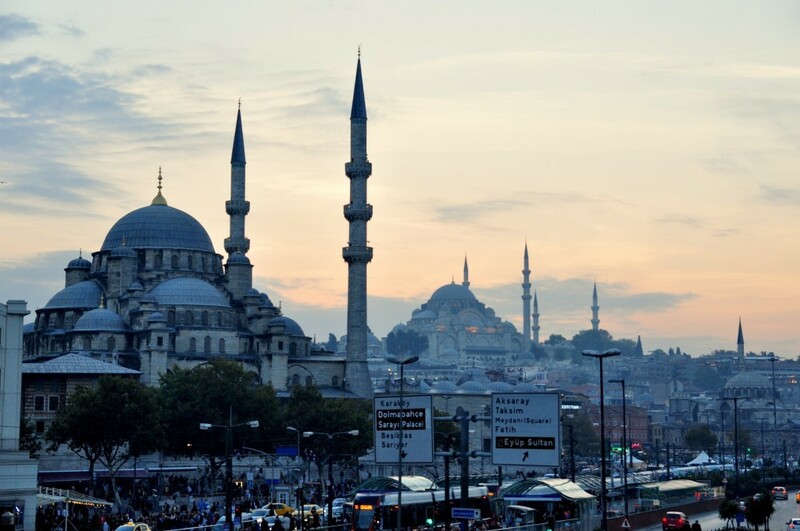 We can say the mosques in Istanbul are divided into two in terms of their architectural style. The first group is the ones what Mimar Sinan called as “Classical Ottoman Architecture” and the second group is the “Modern Period Architecture” that was influenced by Balyan Family. We see mostly the examples of the classical period architecture in the Istanbul Historic Peninsula such as Blue Mosque, Suleymaniye Mosque, Prince Mosque, Fatih Mosque. These mosques were built by the sultans of the Ottoman Empire and they reflect the “classical period when the empire was at its peak point. On the other hand, the Ottoman Empire began to be influenced by the architecture movements in the world as of 18th century. The marks of this architectural movement can be seen on the mosques that are lined up one after another in the Bosphorus. Some of the examples of such mosques are Nusretiye Mosque, Ortakoy Mosque, Dolmabahce Mosque, and Beylerbeyi Mosque. Of course, neither of these two architectural styles are superior to the other. Both of these styles still carry the marks of a culture that reigned for 500 years in Istanbul. While the Classical Architecture is characterized by a low-key, simple and big-sized structures, the Modern Architecture style puts emphasis on elaborate decoration arts. If you wish, you can read the details about these mosques in our post titled The Most Beautiful Mosques in Istanbul. Bringing your camera with you while visiting these mosques and observing their architecture styles is in our The Best Things to do in Istanbul list as well. Visiting the the Prince’s Islands tops the list of the things to do on weekends in Istanbul. You can also visit them like thousand others and liven up the streets. The most popular of the Princes’ Islands are Burgazada, Heybeliada, and Buyukada. If you visit Buyukada, you can rent a bicycle and ride it on the historical streets of the island. Additionally, it’s a must do thing to visit The Church of St. George on the highest point of the island. Burgazada, on the other hand, is famous for Sait Faik Abasiyanik Museum. (Sait Faik Abasiyanik is a famous Turkish poet) Moreover, Burgazada is a heaven-like place if you like a quiet and cozy atmosphere. You can also enjoy one of the cafes on the island during your visit. And if you prefer to visit Heybeliada, you can visit the Theological School of Halki on the top of the island and trail the past experiences in the school. Bosphorus boat tour that we mentioned at the beginning of the post and Tour to the Islands take the first two places in our Best Things to do in Istanbul list. Camlica Hill is a spot where you can enjoy the breathtaking Istanbul view from the widest angle possible. Climbing up Camlica Hill and taking some great shots is one of the activities that you can go for with your friends in Istanbul. Watching Istanbul from Camlica Hill – What to See in Istanbul? There are many ways to do shopping in Istanbul. As we formerly mentioned, you can either visit the historical bazaars and the area nearby these bazaars or you can opt to visit modern shopping malls. If you want to do shopping in a mall, but you prefer an open-air space, you can try Baghdad Street, a shopping heaven, which offers many shops on it’s a few km street. 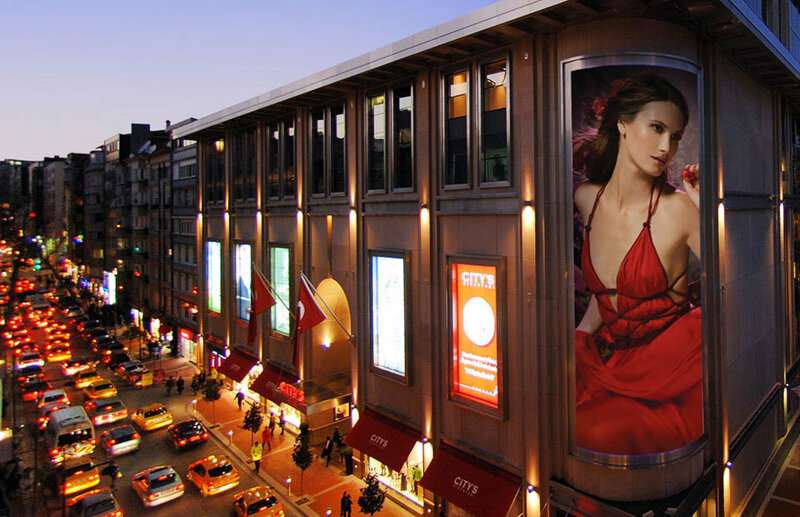 Bagdat Street is on the Asian side of Istanbul where you can find the highest quality worldwide brands. It won’t be an exaggeration to say Bagdat Street is a heaven for shopping lovers. Nisantasi is a very important spot that houses the best boutiques in Istanbul. If you are fond of fashion, Nisantasi will definitely be worth visiting. If you want to buy something special instead of casual clothes that you can find at any shopping center, Nisantasi will be your number one destination. In Nisantasi you can visit the boutiques of the most important fashion designers in Turkey and follow the fashion closely. Moreover, Nisantasi is one of the best places for breakfast or coffee in Istanbul. Thousands of sports lovers take part in Eurasia Marathon every year. This day is the only day when the Bosphorus Bridge that connects Europe to Asia is closed to traffic. In Eurasia Marathon, the participants cross from one continent to the other by running. In addition to the locals of Istanbul, foreign athletes and tourists show interest in the event too. 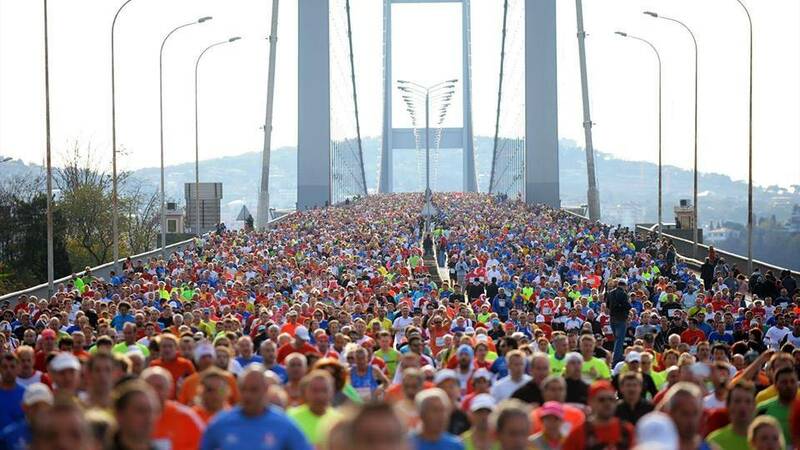 I recommend this marathon to everyone whether young or old and include this activity in the list of best things to do in Istanbul. 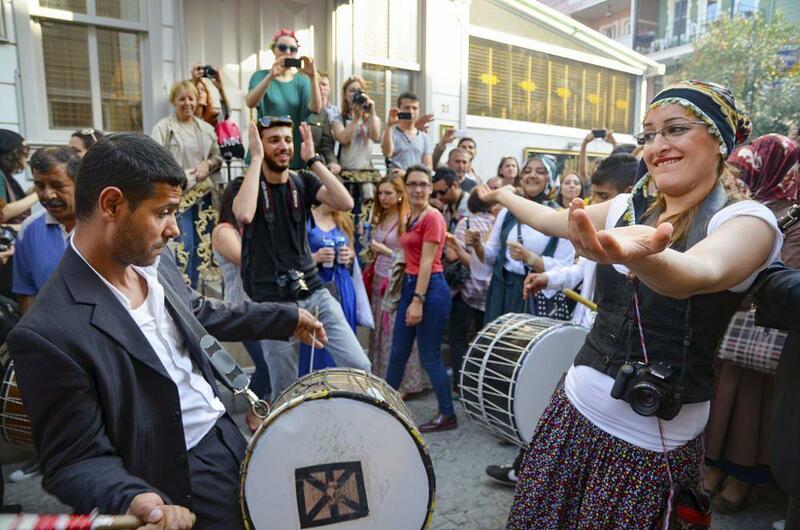 A really fun activity is organized at Sultanahmet, the heart of the Old City, every year. The activity organized at Ahirkapi, the city’s gate that opens to the Marmara Sea, is to celebrate the coming of spring. The gypsies enliven this activity with their music and dance, and it’s definitely one of the most enjoyable activities in Istanbul. Hidirellez Festival that announces the coming of spring is celebrated enthusiastically all around Turkey, but the atmosphere at Ahirkapi is unique. Attending this festival and walk through the oldish streets of Ahirkapi, one of the non touristy things to do Istanbul. You may want to check The List of Festivals in Istanbul post. Kumkapi is a historic neighborhood located in the most central point of the Old City. Kumkapi is next to Sultanahmet and the tourists visit Kumkapi frequently. It’s where tens of people from different nationalities come together and create a colorful and fun scene at nights. Kumkapi is one of the best places to eat fish in Istanbul. While you enjoy your meal, you can listen to street musicians and enjoy your evening in a beautiful atmosphere. The fresh fish delivered from Kumkapi Fish Market is consumed in accompany with traditional Turkish drink raki. Listening to fasil (classical Ottoman music) with a group of friends is a great way to spend your evening in Istanbul.